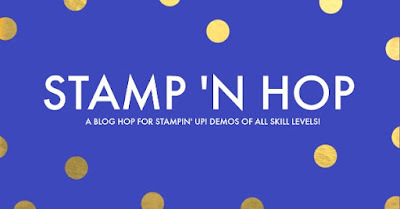 Welcome to September’s Stamp 'N Hop Blog Hop. This month’s theme: 2018 Holiday Catalogue. 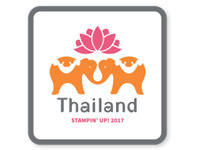 There are so many beautiful products in this catalogue, so I'm really having hard time choosing one. So I ended up using Stanta's Workshop Suite. 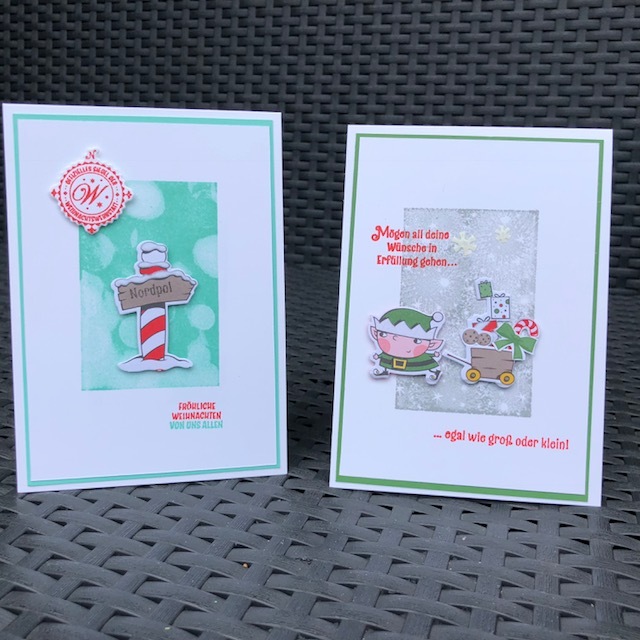 Santa's Workshop specialty designer series paper is so pretty! And the coordinating stampset Signs of Santa and framelits dies Santa's signpost are jusst perfekt to work with, when you have not so much time to spend with coloring. 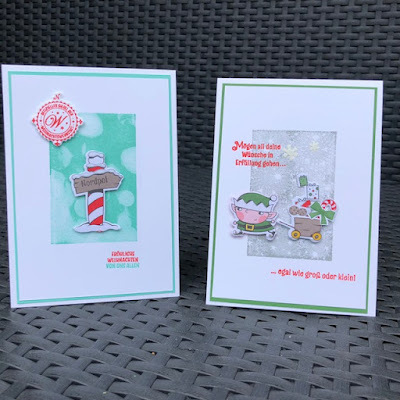 I also used the stampset Bokeh dots for my background for the cards. Quick and easy. 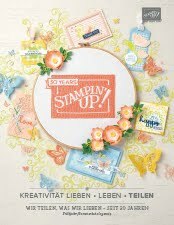 Willkommen im September Stamp 'N Hop Blog Hop. 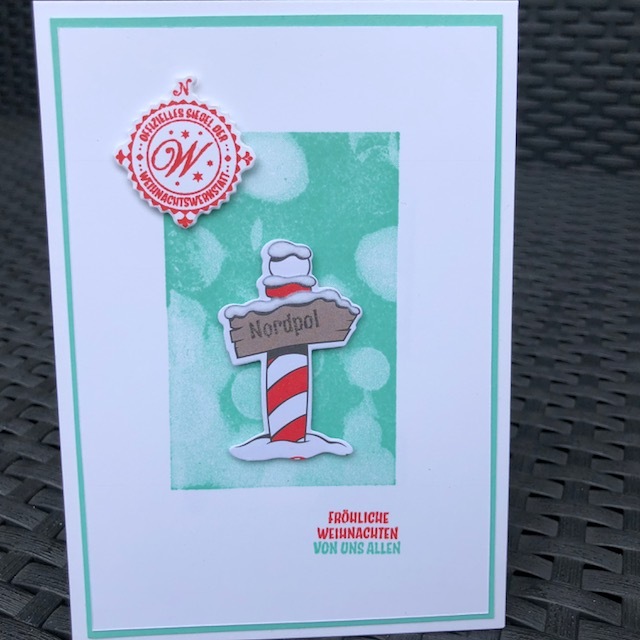 Das Thema dieses Monats: Herbst-/Winterkatalog 2018. 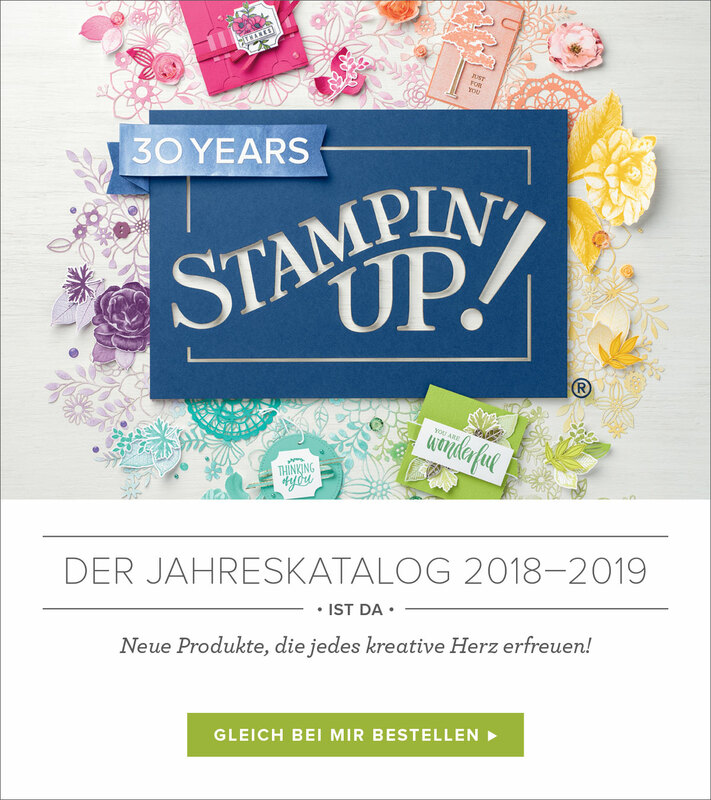 Es gibt so viele schöne Produkte in diesem Katalog, so dass es mir wirklich schwer fällt, eine auszuwählen. 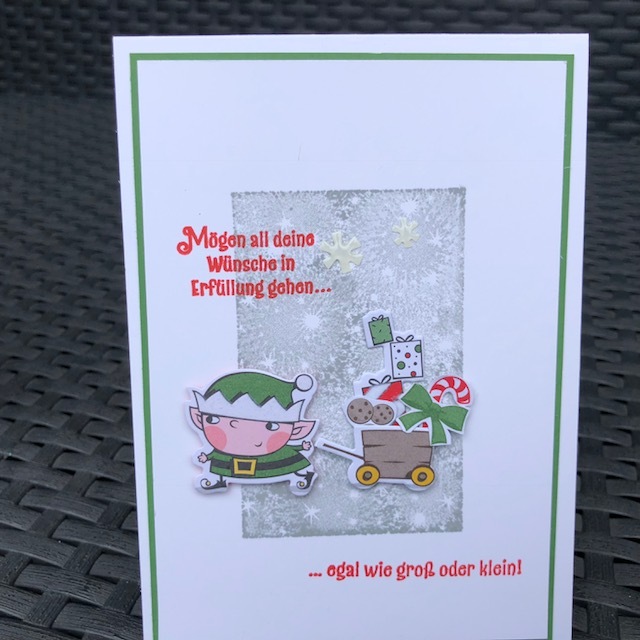 Also habe ich die Produktreihe "In der Weihnachtswerkstatt" benutzt. 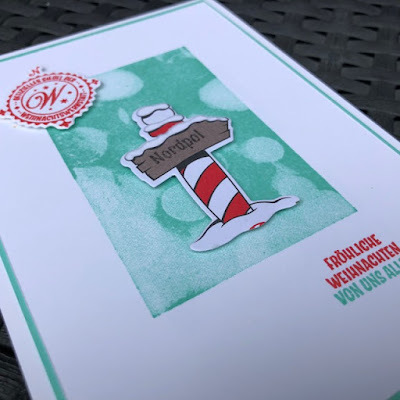 Das besonderes Designerpapier "In der Weihnachtswerkstatt"ist so hübsch! Und das dazu passende Stempelset "Weihnachtswerkstatt" und Framelits" "WEg zum Weihnachtsmann" sind perfekt, um damit zu arbeiten, wenn man nicht so viel Zeit zum Kolorieren hat. Ich habe auch das Stempelset "Bokeh Dots" für meinen Hintergrund für die Karten verwendet. Schnell und einfach. I'm curious what the others have come up with. So let's hop to Vicky's Blog to see her work. Ich bin gespannt, was die anderen sich einfallen lassen haben. 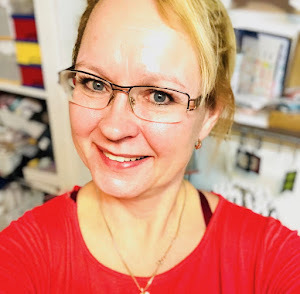 Also hüpfen wir zum Vicky's Blog um ihre Werke zu schauen. So cute, I'm now buying this set with some Flex points. 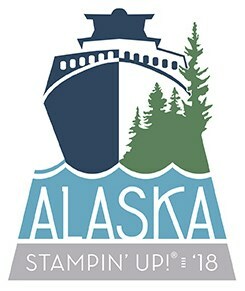 Can't wait for it to arrive !! Such cute cards Pia and this set goes so well with the Bokeh Dots stamp set. Thanks for sharing. Beautiful cards! 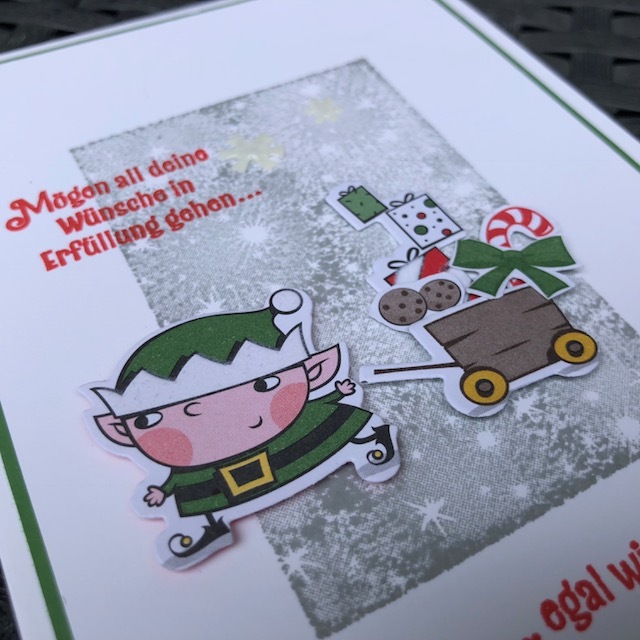 What colour did you use for the background on the card with an elf?